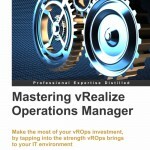 Today will be a short but sweet look at how to be more efficent when creating vRO workflows. We will look at configuration items. I have noticed that generally speaking they are not used in the wild or at least the small part of the wild I have visability on. Not sure if this because people are not aware they exist or dont know how to use them. But either way they can save allot of re-work if endpoints change in the furture. I know I have been in a situation where an endpoint I was using, be it vCenter, infoblox, secret server, AD, powershell host etc has changed and then I think crap what workflows were pointing to that enpoint and have i changed them all, as I dont want nasty calls and tickets come through because a piece of functionality has stopped working. the solution is Configuration items!! This way you have 1 place to make the change and everything that is mapped back to that will be updated as well. like having global settings for your workflows. Lets have a quick look at how to use this in vRO. 1) When you log into vRO, select the design layout and you will see the icon that looks like a piece of paper with a cog on the bottom right. Click this. 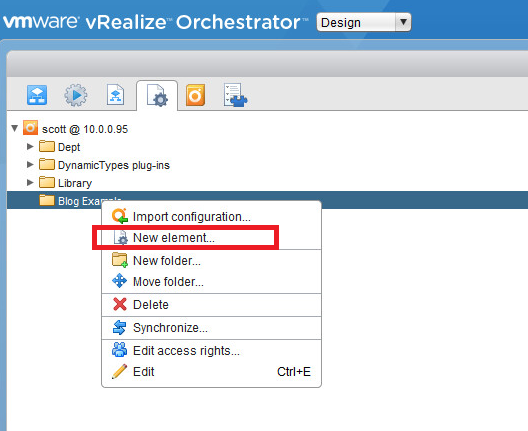 2) Create a new folder or use an existing. Right Click on the folder and select “New Element” Give it a name and hit ok. You will go right into the edit screen for this element. As you will notice its the same as the Attributes section of a workflow. 3) Now we add attribute or attributes to the Configuration element. For this example I will be using infoblox item. but as mentioned this can be any object type including strings and booleans etc. We set this like any other attribute in a workflow. 5) In this example I will locate my workflow where I want to use this element, This particular one is reserving an IP for F5 LoadPalancer VIP. as seen in the image below my ipam connection is assigned within the workflow. click on the blue 2 way arrow icon which is directly under the Configration Element Icon next to the Value of the Attribute. 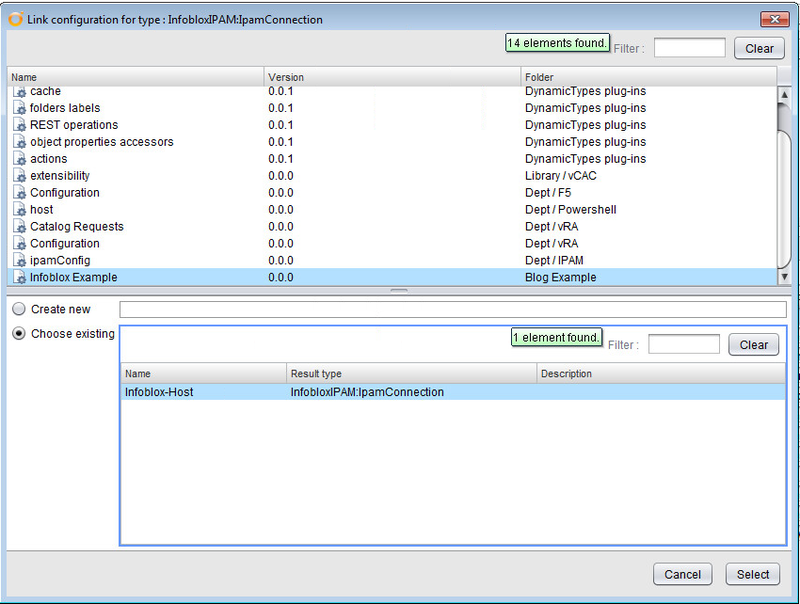 This will open up a window where you can link your configuration items. As seen in the below image I have chosen the one created previously. Once the element is selected click select and we will now see the workflow attribute is linked to the Configuration item. The workflow will run and work just as it did before. and if I continue to use this for all the workflows, It means if there is a change in the future I have a single place to make the change and not making it on a dozen different workflows wondering if I got them all.